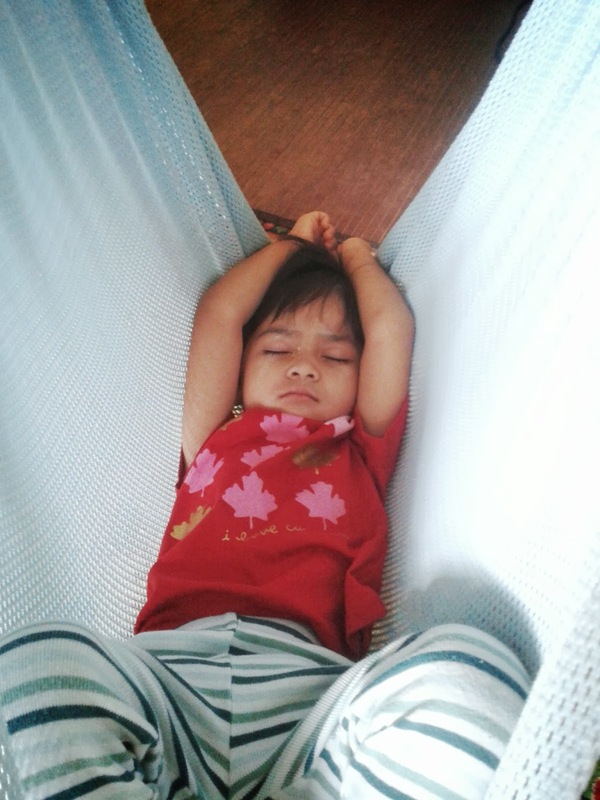 Aulia' has been sick these past couple of days. It is fever that started Sunday evening. According to the doctor we are on about day 2 or 3 (of 3) today. So I am hoping that nights will start becoming more regular now! I called in sick and kept her from daycare yesterday. 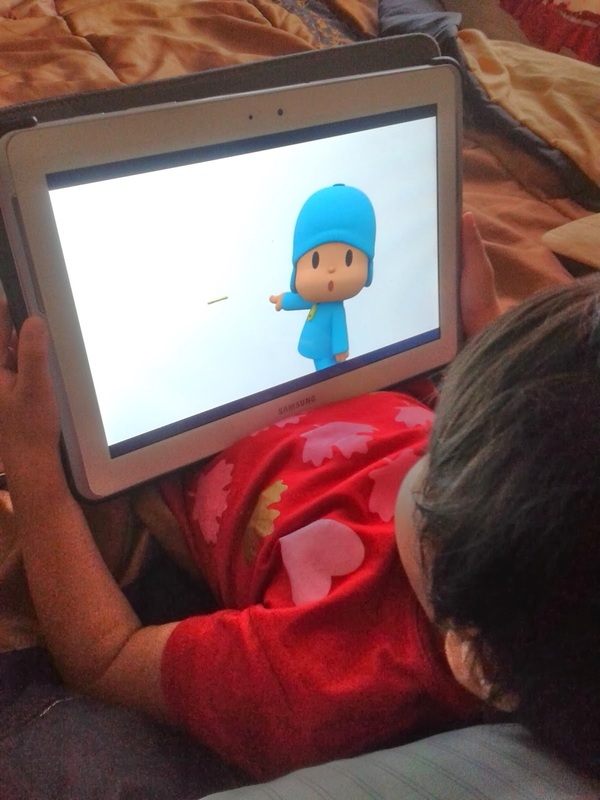 She received a big nasty ulcer shot and when we go home all she wanted to do was lay on the bed and watch Pocoyo. She was laying around, only with some coughing here and there. Last nights where still iffy, but not nearly as bad as the peek nights. She was moving around like crazy and she woke up once but after rocking her a little she went right back to sleep. The next morning she was starting to feel like herself again, happy, running around, playing...then out of nowhere she would cry and be clingy, then happy again. Doctor said as long as she didn't have a high fever over 101 that she is fine to go back to daycare on Thursday. So Thursday will be back on the daily grind. All comes down to....sorry for being MIA. I didn't return the call, replying SMSes, WhatsApp and emails. And I can now say that I know what a cough sounds like....it really does sound like a seal. Get well soon my baby.